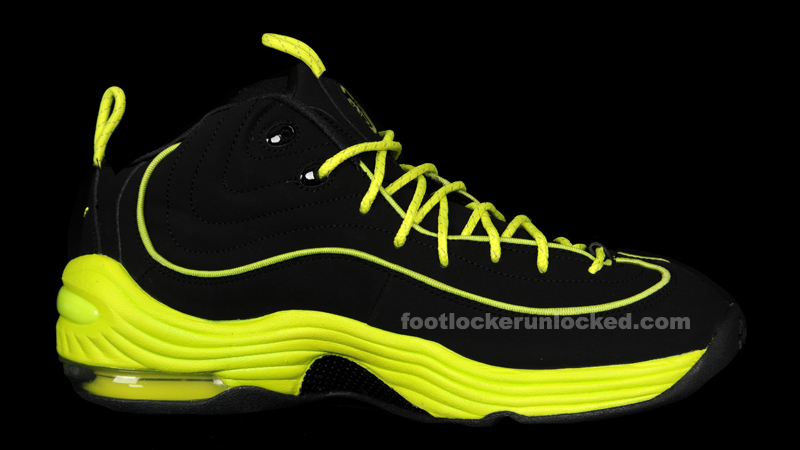 In January, one of our Foot Locker Unlocked writers was wondering when Nike would be bringing back the Penny 2, part of a line, in his opinion, second only to Jordan’s. 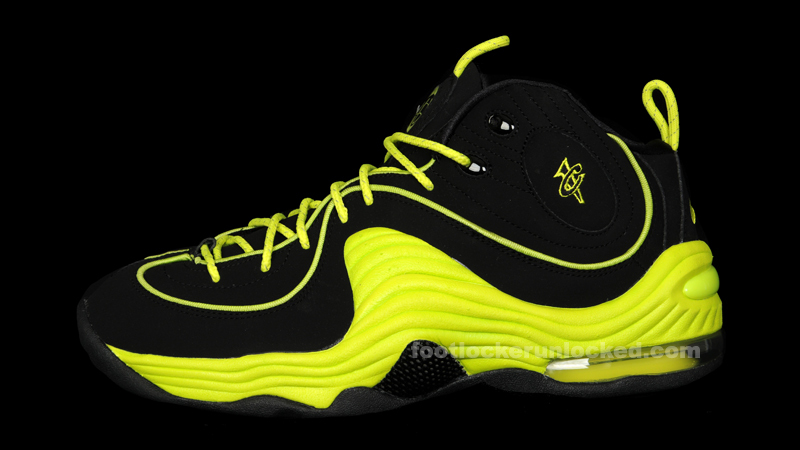 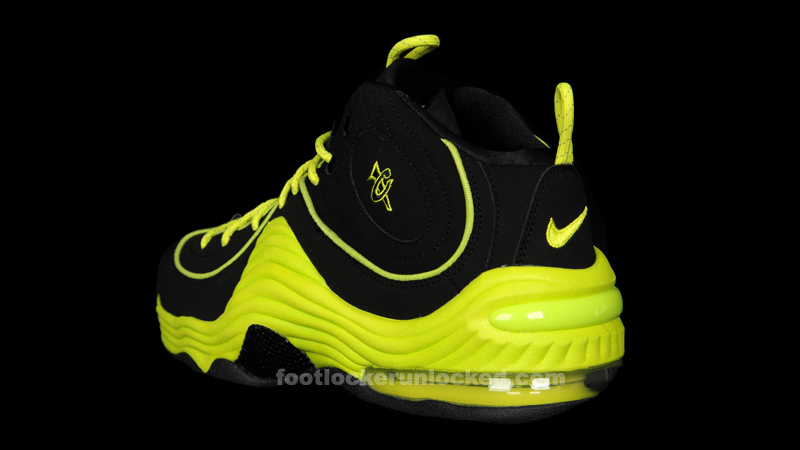 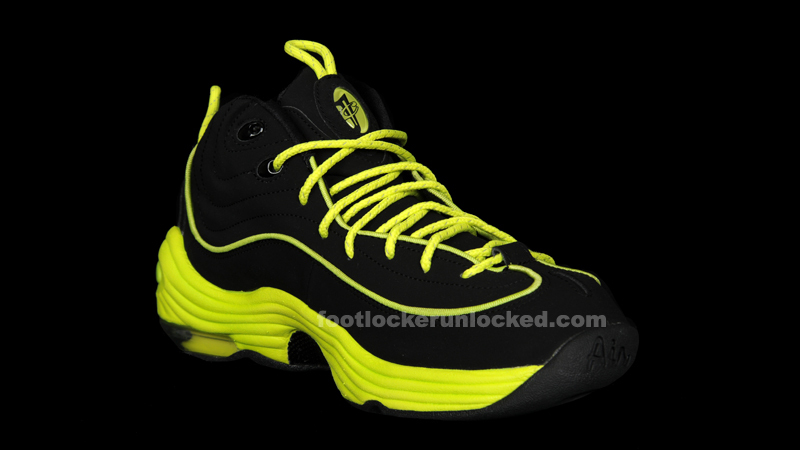 Those questions are now long gone, as the second Air Penny 2 color way recently hit House of Hoops by Foot Locker stores. 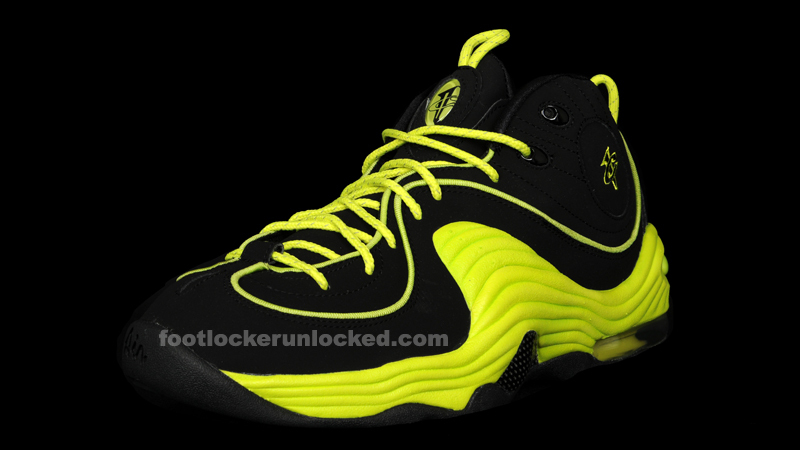 The latest Penny 2 is a black and cyber release that is unmistakably a 2012 colorway. 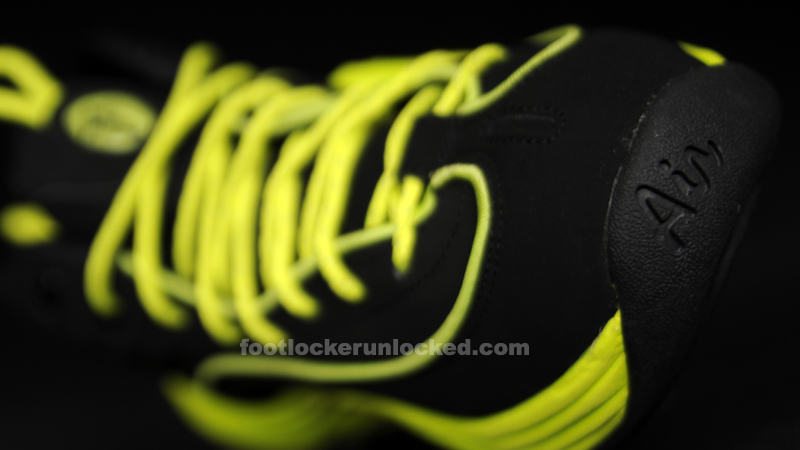 These kicks are composed of a mostly black Nubuck upper with cyber accents on the piping, laces, heel and tongue tabs, and branding. 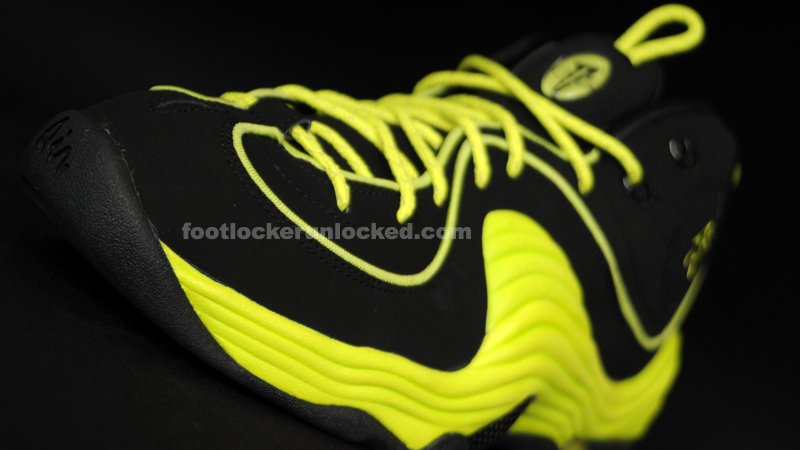 The signature pillowed midsole on the Penny 2 is also cyber over a carbon fiber midfoot reinforcement. 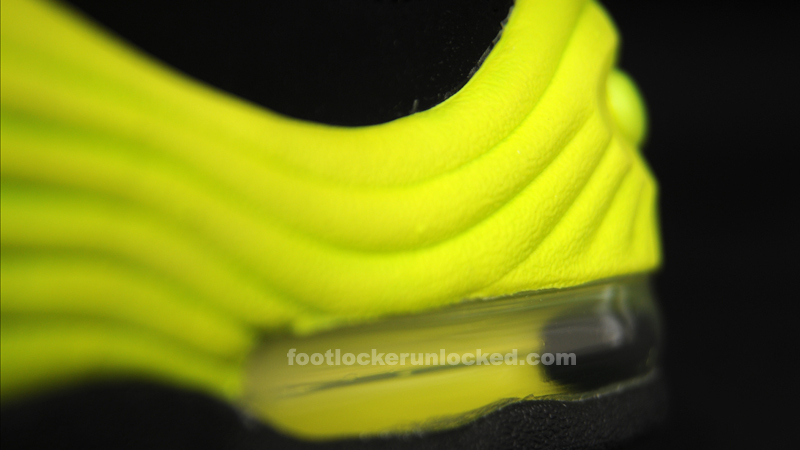 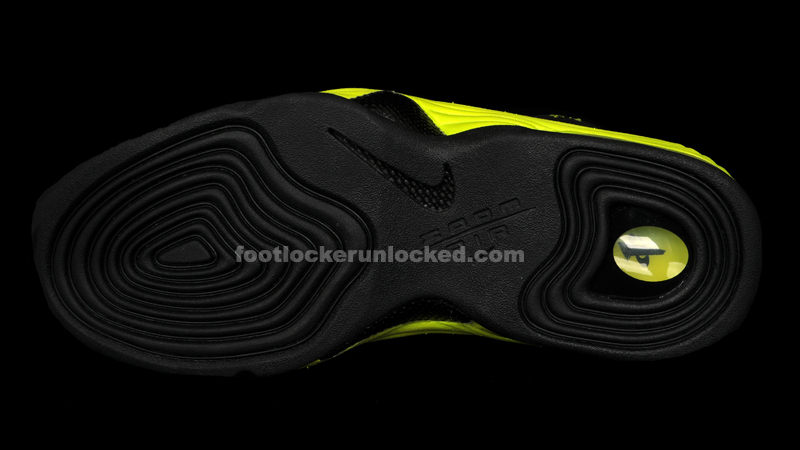 The air bubble structure on the heel of the shoe also has some cyber accents that are visible from the midsole and sole of the shoe. 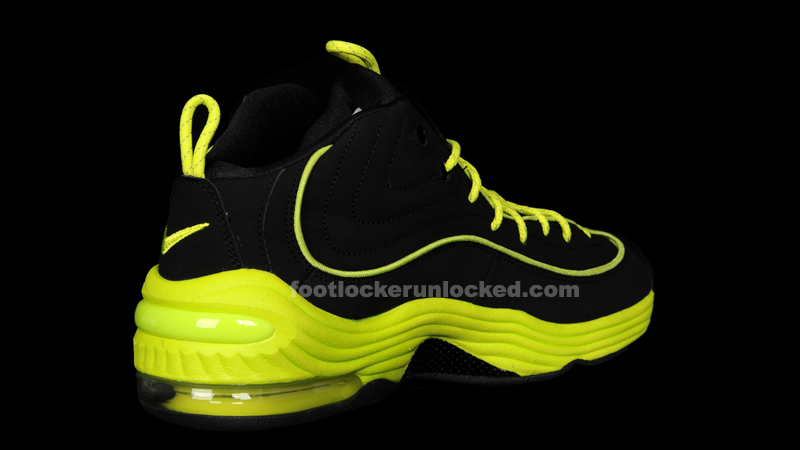 The Nike Air Penny 2 is available in House of Hoops by Foot Locker locations now for $155. 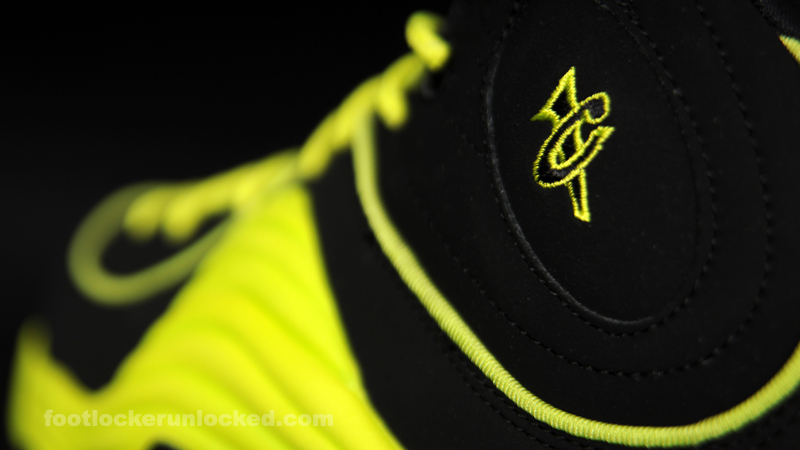 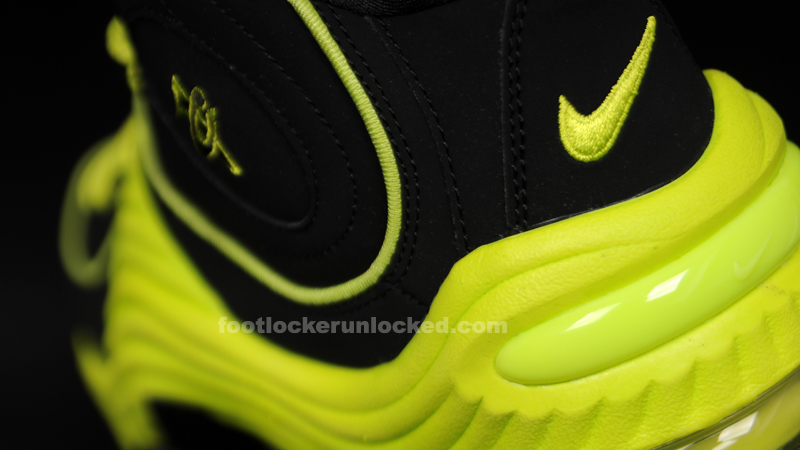 For detailed photos of perhaps the best shoe in Penny Hardaway’s signature line, see below.